Throw on your favorite flannel and polish up your axe: The latest After Dark extravaganza will have you chopping wood and telling tall tales on Friday, July 13. 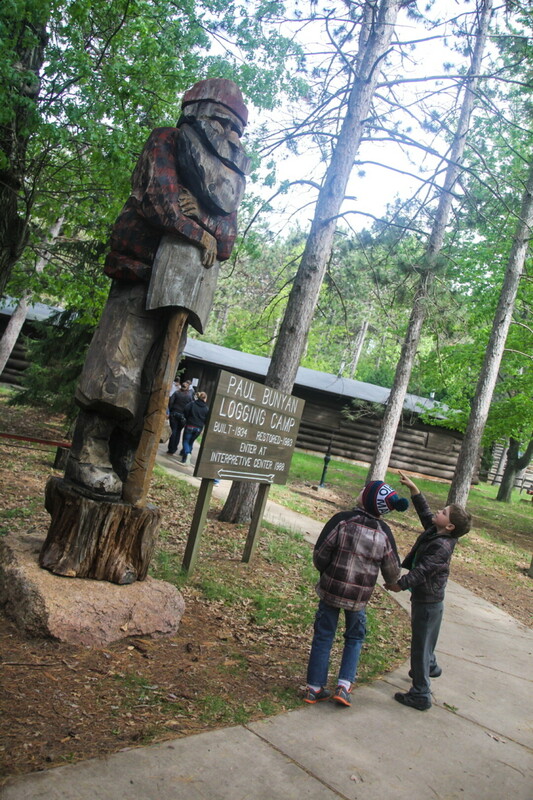 The Paul Bunyan Logging Camp Museum will take you back in time to “party like it’s 1888” and become the lumberjack you’ve always wanted to be. The night will include a throwback to logging oral traditions with tall tales, many featuring our fabled friend Paul Bunyan, with Rob Kuchta. There will be live music performed by Jerrika Mighelle, an assortment of outdoor games, a metal sculpting demonstration from artist Mark Blaskey, bunkhouse tours, and so much more. You can grab a candid selfie with Paul and Babe the Blue Ox after writing your own tall tale, but don’t forget to solve the Logging Camp Mystery! Alcoholic beverages will be available along with tasty food from the Marigold Café Food Truck. This event is part of the After Dark series, which hosts unique events for adults in the Chippewa Valley. This blast from the past will drag you out of those weekday doldrums with a fun chance to be a lumberjack for a night.